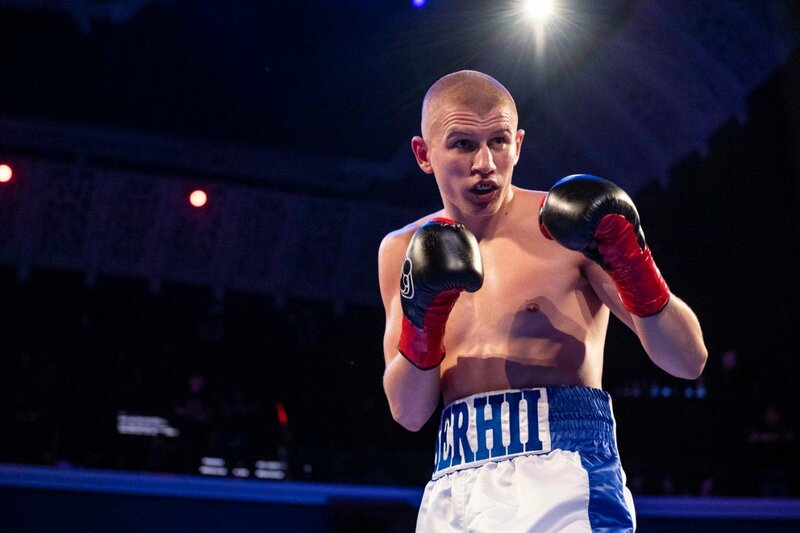 Top Junior Middleweight Prospect Serhii ‘El Flaco’ Bohachuk, (11-0, 11 KO’s) kept his perfect knockout streak intact with a show-stopping first-round stoppage (1:50) of Ronald Montes, (18-11, 16 KO’s) in the main event of Tuesday’s Night’s Pre-Halloween Eve ‘Hollywood Fight Nights’ at the AVALON Nightclub. The end came from a perfect left hook to the body from the Abel Sanchez trained Ukrainian which brought a sudden halt to the action. Presented by Tom Loeffler’s 360 Promotions, the sold-out ‘Hollywood Fight Nights’ event was a rousing success as fans packed the venue for The VIP Boxing Experience, many dressed in elaborate costumes befitting the Halloween festivities. In the featherweight division Humberto Rubalcava, (9-0-0, 6 KO’s) of Orange, CA and Robert ‘Escorpion’ Pucheta, (10-15-1, 6 KO’s), of Jalisco, Mexico battled in a highly entertaining six-round affair. Although Rubalcava floored Pucheta in the second stanza, the valiant Mexican never stopped his aggression towards the more talented Rubalcava which earned cheers for both from the Southern California boxing fans. Scores for the victorious Rubalcava at the end of the action were 60-53 and 58-55, twice. (5-2-1, 4 KO’s), of Hesperia, CA. With both fighters competing in an attacking southpaw stance, Esquivel floored Montgomery in the second round with a brilliant three-punch combination. Montgomery found success in the final two rounds against Esquivel however at the end battle, scores were 59-54 twice and 58-55 all for the Orange County native. Freddie Roach trained cruiserweight prospect Marco Deckman, (2-0-0, 2 KO’s), stopped Jose Jesus Hurtado, (5-10-0), of San Ysidro, CA with a vicious left hook to the body in the second round to score his second straight entertaining ‘Hollywood Fight Nights’ victory. Time of the knockout was 0:33 of the round. Also returning to Hollywood Fight Nights, featherweight Adrian Corona, (2-0-0) of Rialto, CA won a four-round decision over Gabriel Serrano, (0-2-0), of Santa Ana, CA punctuated by a third-round knockdown. Scores were 40-35 and 39-36, twice. In a junior welterweight bout scheduled for four rounds, Devon ‘The Great’ Lee, (6-0-0, 6 KO’s), of Sacramento, CA stayed perfect with a first-round knockout (0:51) of Kenny Brown (0-1-0) of Los Angeles, CA. In the junior lightweight division, Teodoro Alonso, (1-2-0), of Los Angeles, CA won a four-round unanimous decision over Jaime Miranda, (2-3-0), also of Los Angeles, CA. Scores were 40-36 on all three judges’ scorecards. Tom Loeffler was recognized by ESPN in 2017 as being involved in the promotion of the three biggest events of the year including the Anthony Joshua/Wladimir Klitschko World Heavyweight Championship at Wembley Stadium in London, the Gennady Golovkin/Daniel Jacobs World Middleweight Championship at Madison Square Garden and the massive Canelo Alvarez –Gennady Golovkin event at the T-Mobile Arena in Las Vegas. These three events totaled over 130,000 tickets sold in addition to their extraordinary numbers in pay-per-view sales and network viewership worldwide. Loeffler also co-promoted the World Middleweight Championship rematch between Canelo Alvarez and Gennady Golovkin on September 15, 2018.